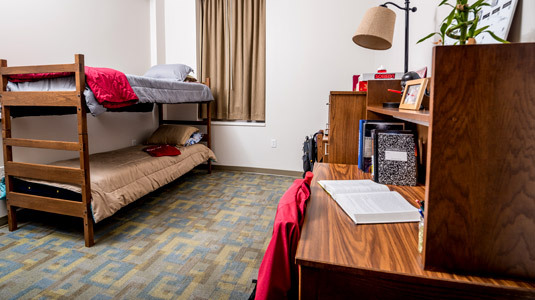 Our residence halls are truly an extension of the college classroom, and they give students the opportunity to participate in community development, develop better people skills and create lifelong friendships. So where exactly will you unpack all your stuff? Suites in Apartments East and West contain bedrooms, kitchen, living room, and bath. 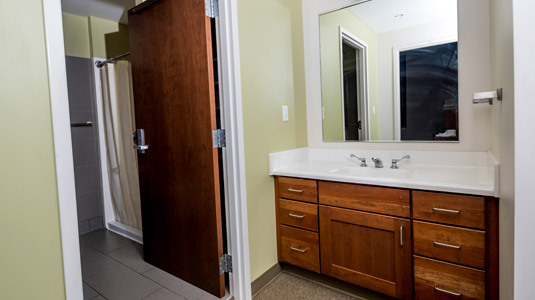 Each Lakeside suite has its own bathroom. Lakeside residents enjoy a spacious living room in each suite. 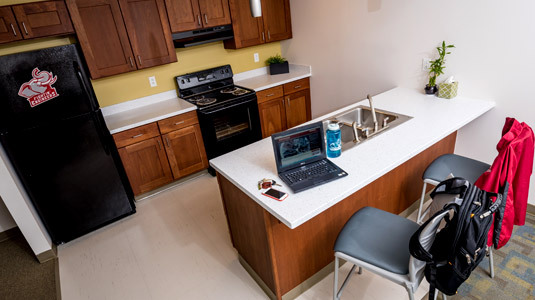 Suites in Lakeside Residence Hall are equipped with small kitchens. 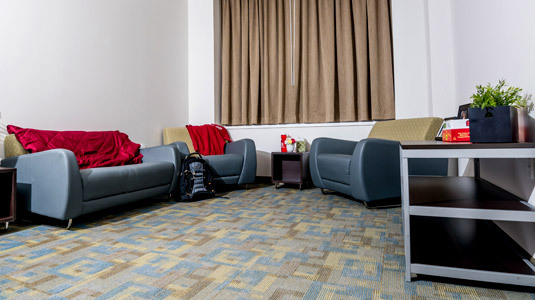 Typical room in BSB Hall. Desks provide dedicated stdy space in each room. 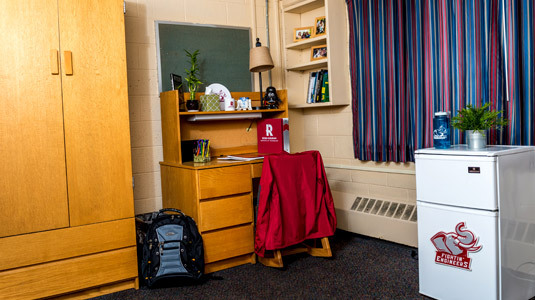 Typical room in Percopo Hall pictured. 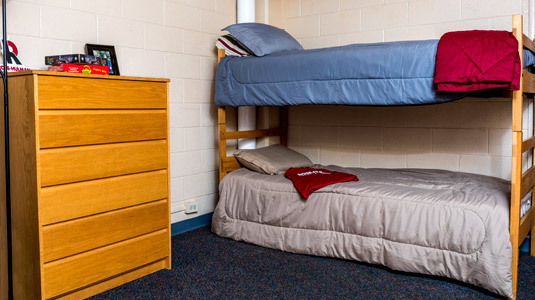 Typical room in Percopo Hall. 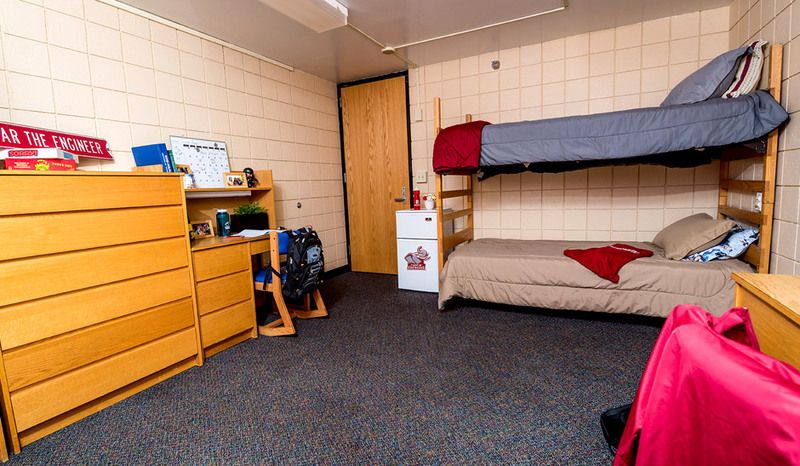 Typical room in Speed Hall. 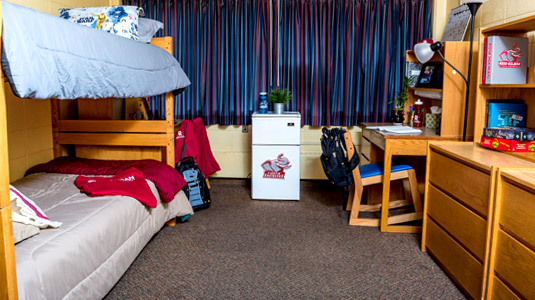 At Rose-Hulman, all freshmen are required to live on campus, but many of our upperclassmen choose to stay in the residence halls as well. Why live on campus? It’s incredibly easy to access campus resources such as the library, classrooms, food services and athletic facilities. 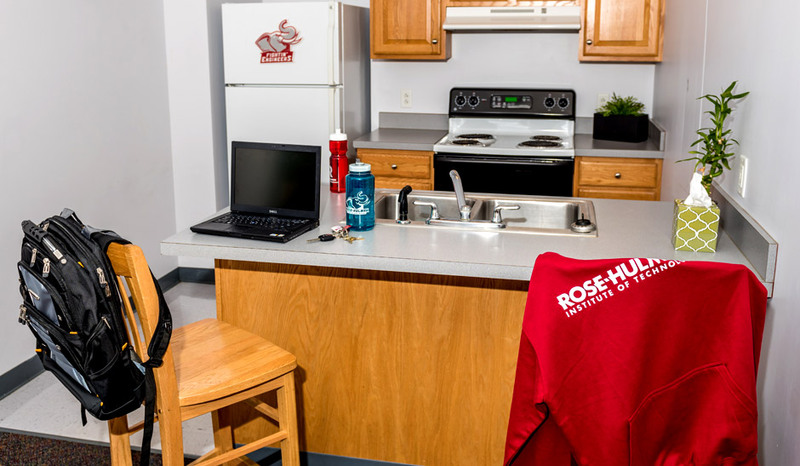 As a member of the Rose-Hulman community, you’ll be surrounded by students taking the same classes as you, and as a result, are likely facing many of the same challenges. Upperclassmen are nearby and will be able to provide assistance with homework. If you live on campus, you will also have fewer distractions since everything is provided for you here. Focus is key to success at Rose-Hulman. But most of all, living on campus is fun! You will make lifelong friends and have stories you’ll remember forever. 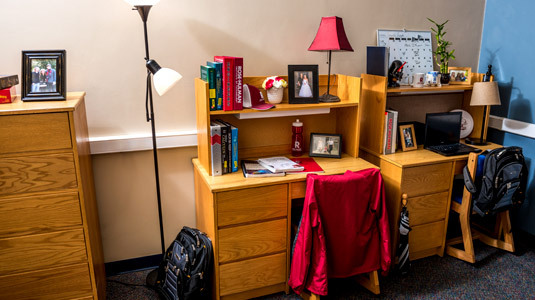 Curious about whether or not all your stuff will fit in your room? Check out our handy list of dimensions. 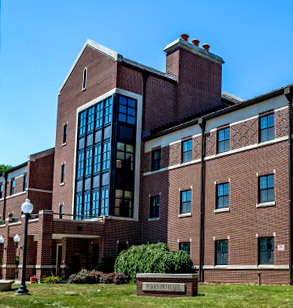 ﻿Located in the northwest part of campus, Apartments East and West are an apartment-style residence hall complex with 60 apartments to accommodate 240 students. Each unit includes two bedrooms, a kitchen, living area and a bath. The complex was opened in 2004. 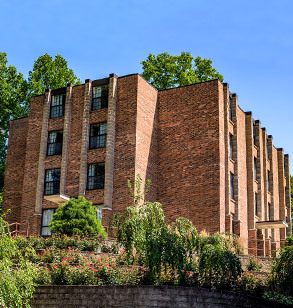 ﻿Blumberg Hall is a four-story brick residence hall opened in 1967 on the northwest portion of campus. It sits adjacent to sister halls Scharpenberg and Mees. Each floor is built in the shape of an "H" containing 12 two-person rooms to accommodate 76 students. The hall is air-conditioned and features a lounge area, laundry room and vending machines. 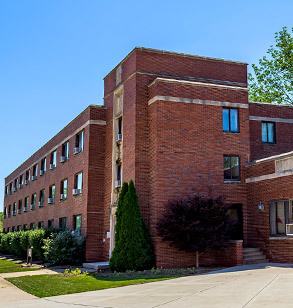 ﻿Opened to residents in 1956, Baur-Sames-Bogart Hall is a three-story residence hall built in the shape of an "L" with accommodations for 120 freshmen and 24 upperclassmen. 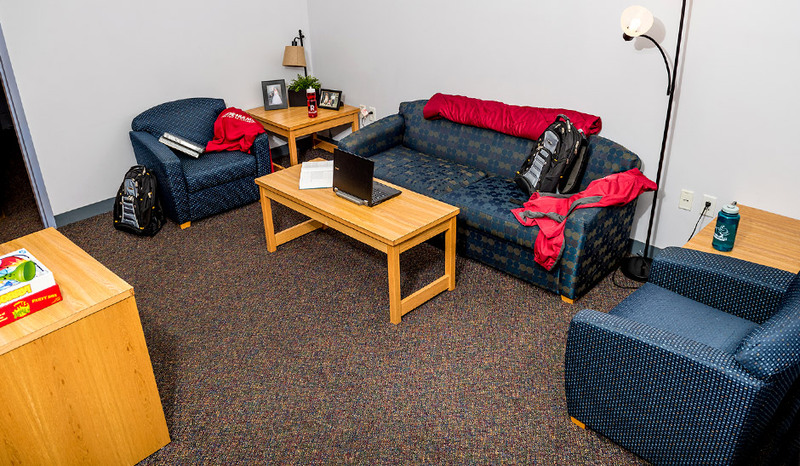 BSB features two lounges, study areas, ping pong, laundry room, vending machines and houses the campus radio station. ﻿Deming Hall is located near the main academic building, on a ridge overlooking the lakes and the athletic field. About 80 freshmen live on the first three floors, and 29 upperclassmen make their home on the fourth floor. 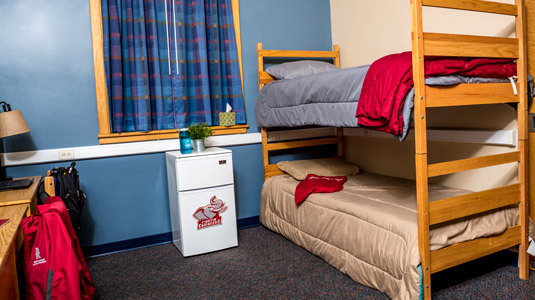 Deming features carpeted rooms, two large lounges, laundry facilities, ping pong and vending machines. 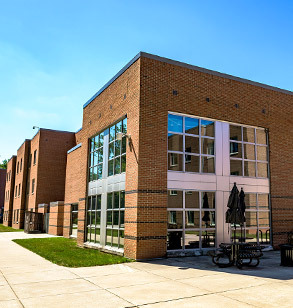 ﻿The first LEED Silver-certified campus building, this 240-bed, 75,000-square-foot residence hall located on the west edge of campus is packed full of energy-efficient amenities that reflects the institute’s commitment to sustainability. There are two wings that extend out at slight angles from a glass-enclosed center corridor. Its northern-facing stairwell also is a wall of glass, and every apartment- or suite-style room has large windows – showcasing that natural day lighting is a central feature of the hall’s design. Other energy-efficient features in the building are: Online energy consumption monitoring system; individual room thermostatic controls; room occupancy lighting sensors; directly-focused room lighting; recyclable flooring materials and a white thermoplastic material roof. Mees Hall is a four-story brick residence hall opened in 1967 on the northwest portion of campus. It sits adjacent to sister halls Scharpenberg and Blumberg. 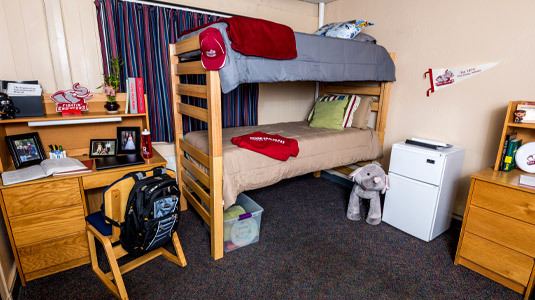 Each floor is built in the shape of an "H" containing 12 two-person rooms to accommodate 76 students. 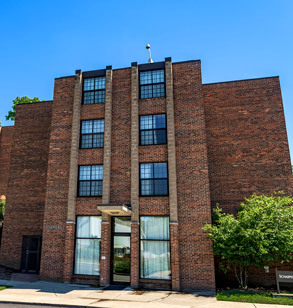 The hall is air-conditioned and features a lounge area, laundry room and vending machines. 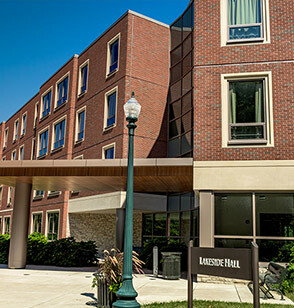 ﻿Percopo Hall is a three-story residence hall located on the southwest portion of campus. 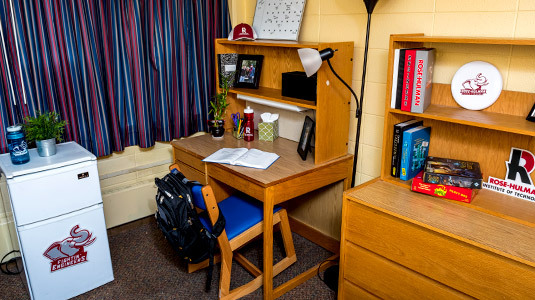 Six tutors and one graduate assistant reside in the hall to provide academic support to students, including one-on-one tutoring, course review sessions, nightly homework support and workshops. The hall has 109 double rooms, each sharing a restroom with a second room. Percopo features a library, classroom, and several lounges and study areas. 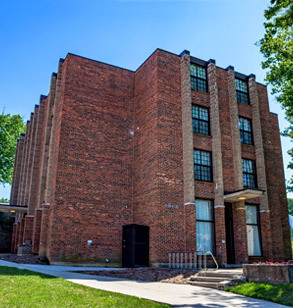 ﻿Scharpenberg Hall is a four-story brick residence hall opened in 1967 on the northwest side of campus adjacent to Mees and Blumberg halls. 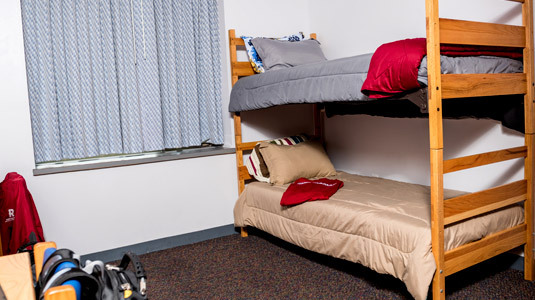 Each floor is built in the shape of an "H" containing 12 two-person rooms to accommodate 71 students. The hall is air-conditioned and features a lounge area, laundry room and vending machines. 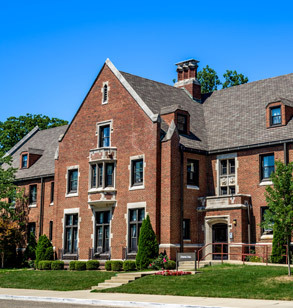 ﻿Built in 1976 as apartment living on the Rose-Hulman campus, Skinner Hall was renovated in the summer of 2012 to serve as sorority housing. 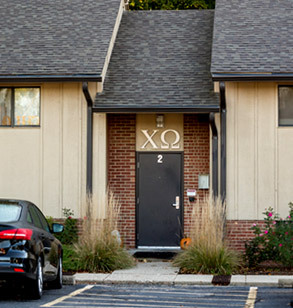 Each of Rose-Hulman’s three sororities, Alpha Omicron Pi, Chi Omega, and Delta Delta Delta, occupies a section that accommodates up to 12 residents. Besides newly refurbished living space, each chapter also has meeting space for activities and events. 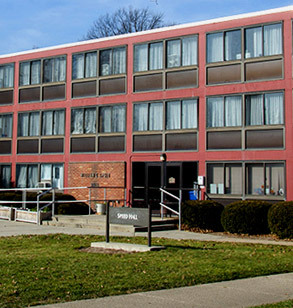 ﻿Opened in 1963, Speed Hall is a three-story residence hall located on the south side of campus with accommodations for 116 freshmen. It has a kitchen, a main lounge, ping pong, laundry room, vending machines and carpet in every room. Speed Hall is named in honor of 1895 Rose Poly graduate William S. Speed.